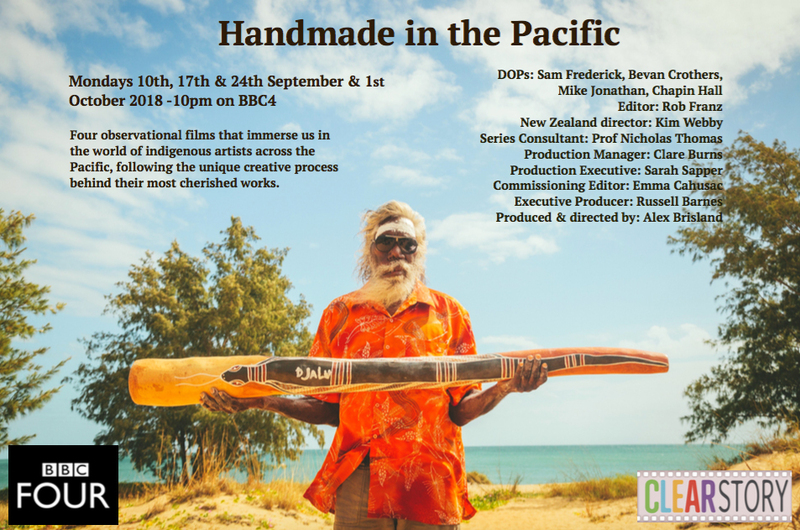 These beautifully crafted observational films immerse us in the world of indigenous artists across the Pacific, giving us insight into the unique creative process behind their most cherished works and their role and importance within the community. 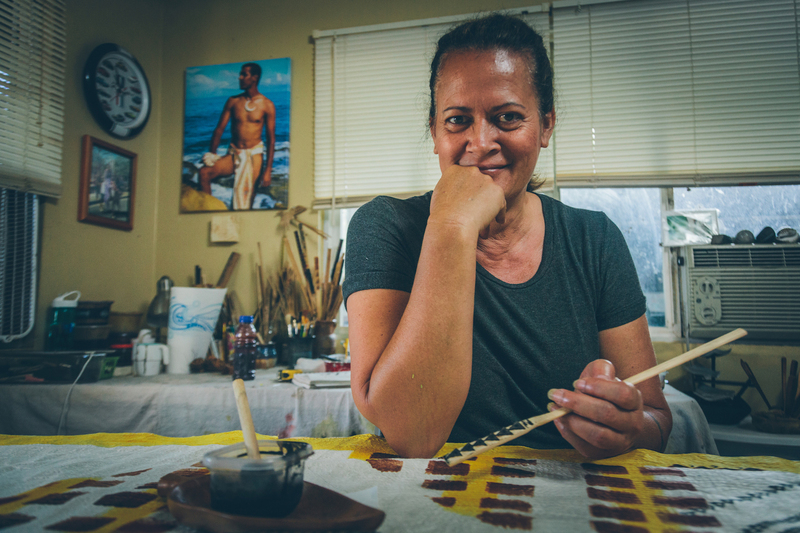 Taking us from Australia to New Zealand, by way of Rurutu and Hawaii, the series explores the deep reverence many indigenous people continue to have for their artistic traditions and heritage. Lovingly recording the creation of a new object from start to finish, each film explores the layers of inherited knowledge and years of practice to develop the skill needed to make each object. Simple and stripped back, the films have little or no music to accompany them, no narration or presenter to distract. 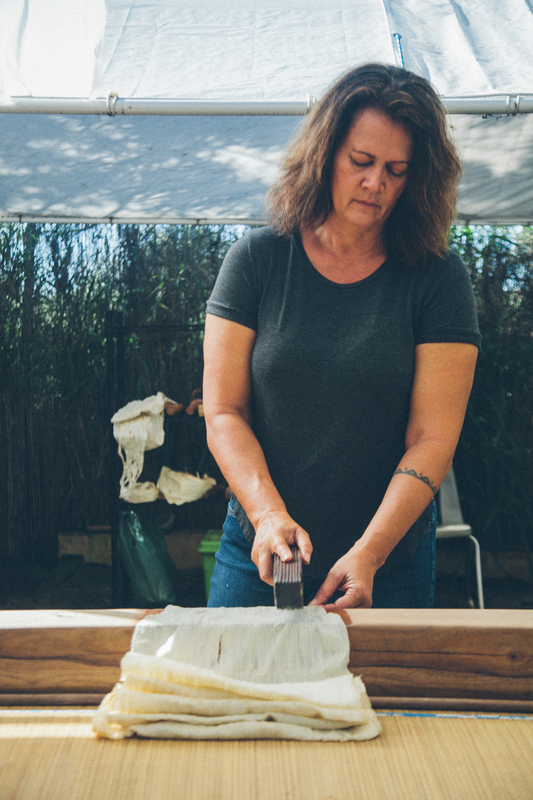 Instead, the artists themselves, during the process of making their object, are given time and space to explain their life’s work, inspiration and sense of calling. Through exploring how, tradition, master craftsmanship and artistic inspiration continue to provide meaning for indigenous people across the Pacific, the films also become intimate portraits of community life. 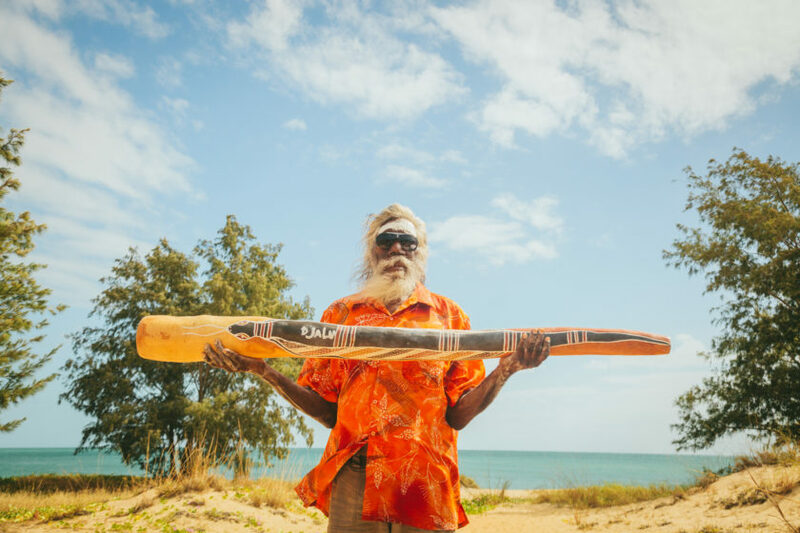 In Arnhem Land, in the remote tropical north of Australia, the Gurruwiwi Family of the Yolngu Aboriginal people take us into the beguiling world of the ‘yidaki’, a sacred instrument better known to outsiders as the ‘didgeridoo’. 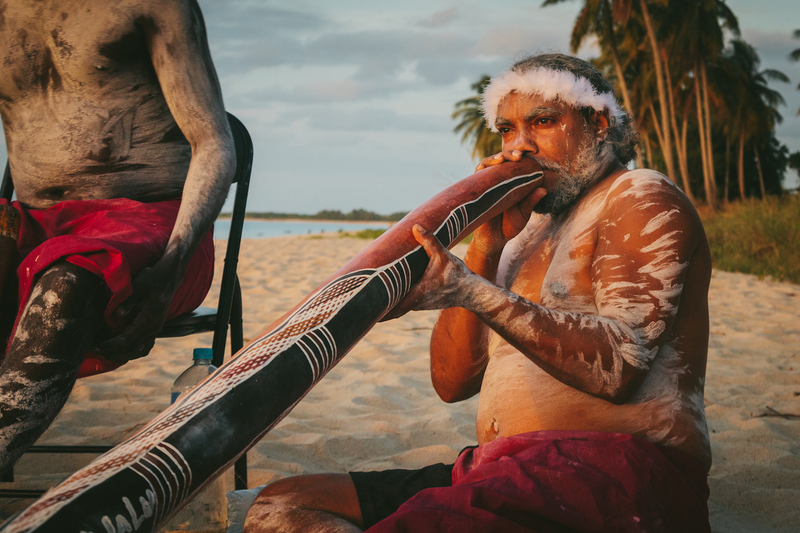 Believing the yidaki can heal people, control the weather, and summon ancestral spirits, the Yolngu place great importance on the making and playing of this powerful instrument. 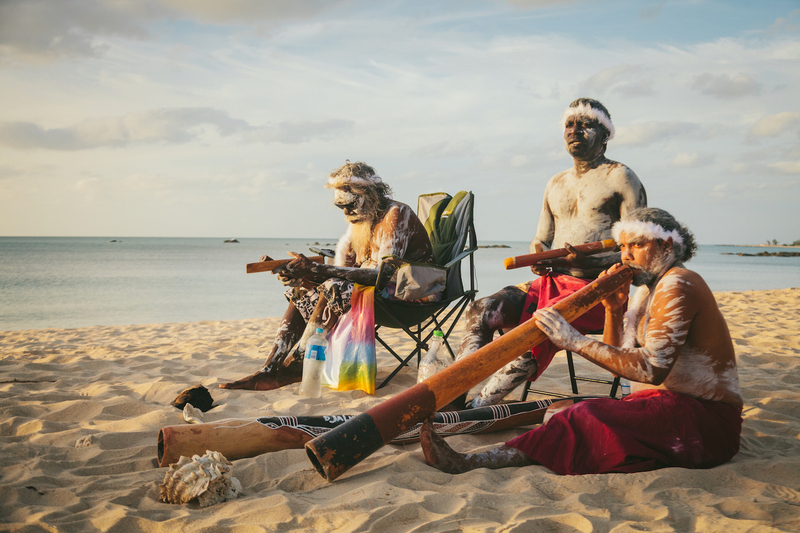 The yidaki is a key feature of local ceremonial life and is used to play ‘songlines’, the stories of ancestors that the Yolngu communicate through music and dance. The whole family is involved in the making of a new yidaki. We follow them as they hunt for suitable stringybark trees and watch each stage of the process as the tree is hollowed out, shaped, and given sacred ceremonial paintings with ochres. With the new yidaki finished, the film culminates in a ‘bunggul’, a ceremonial dance for the whole village, where the instrument is given its first outing. 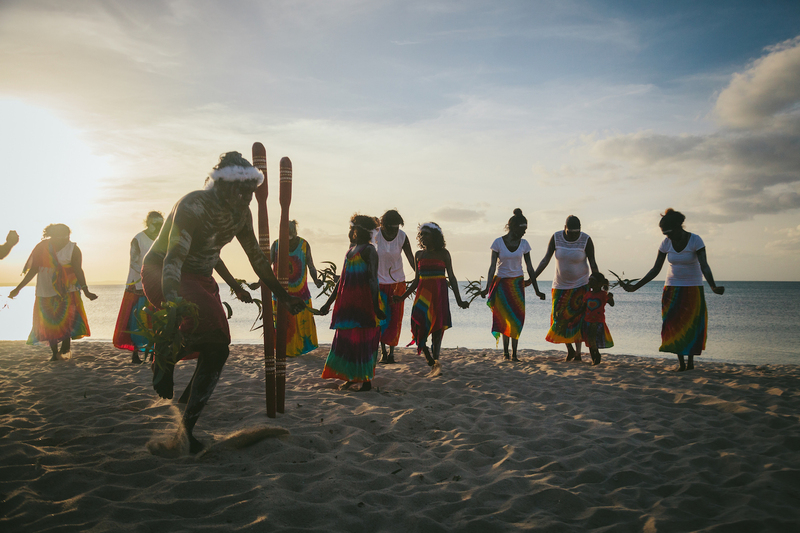 Many of the beliefs held by the Gurruwiwi family have remained unchanged for tens of thousands of years. Yet, the modern world has definitely arrived. iPhones and machine sanders mix seemingly with ease with ancient belief systems, in an intimate film that explores and straddles this moment of change for Aboriginal people in Australia. 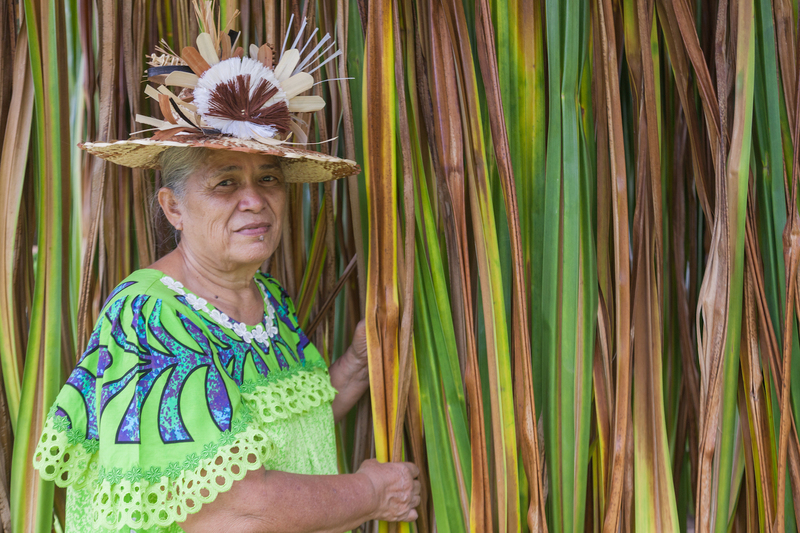 ‘Mama’, from the beautiful South Seas island of Rurutu, French Polynesia, is one of the last traditional weavers to make the ‘taupoo’, a ceremonial hat woven from dried pandanus tree leaves. Taking 5 weeks to make, these hats were originally introduced to the island by British missionaries in the early 19th Century. Now, they’re worn to church and given as wedding gifts. But, the knowledge of how to make them is dying out. 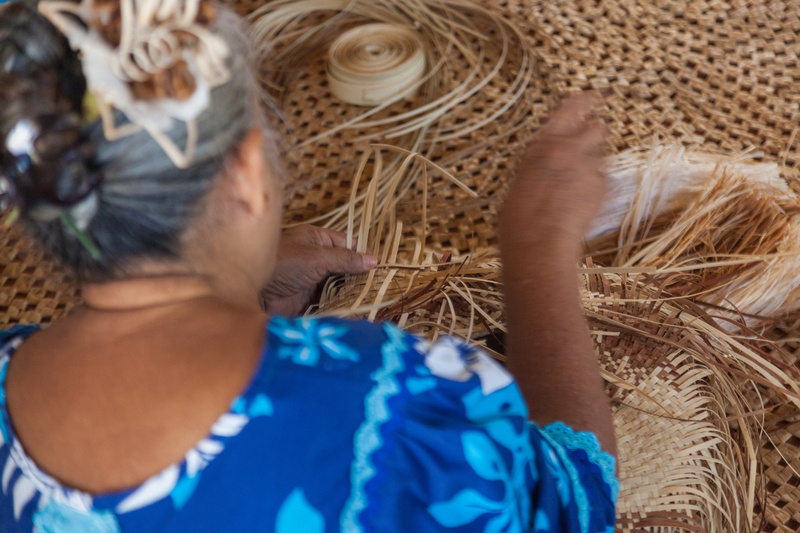 To create each hat, 30 or more long pandanus leaves are cut down, spliced together, hung, dried, rolled, sorted, dyed and bleached. And then the complex weaving begins. Without a template or stitches or any thread, we watch Mama almost magically weaving the dried leaves into a stunningly elaborate hat, which she wears to church in the final scenes of the film. Touching upon the island’s Christian history, local myths and legends, and offering a unique and relaxed sense of this island idyll in a moment of flux, this film is both a rare visual treat and a last chance to see the intricacies of an ancient and dying craft. Master Maori carver Logan Okiwi Shipgood crafts a beautiful 6ft tall ‘pou’ statue from native New Zealand timber. Starting from a block of native white pine, and using chainsaws, adzes and around 30 chisels, Logan gradually carves out the figure of ‘Hene Te Akiri’, a Maori warrior princess, as he lovingly chips away at the wood. Inlaid with sacred shells and given a powerful facial tattoo to denote her social rank, the finished statue is finally unveiled to the public. 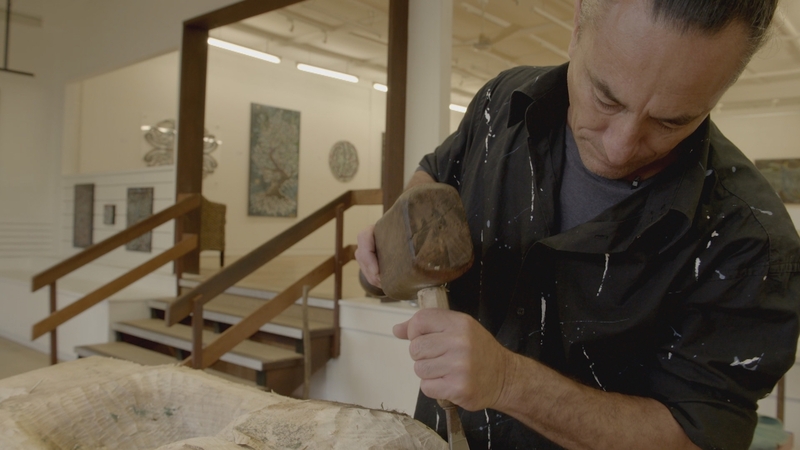 Throughout the film, Logan explores the deep spiritual connection between Maori carvers and the objects they create, and the significance of his home – Rotorua – in the revival of Maori art and culture in the 20th Century. 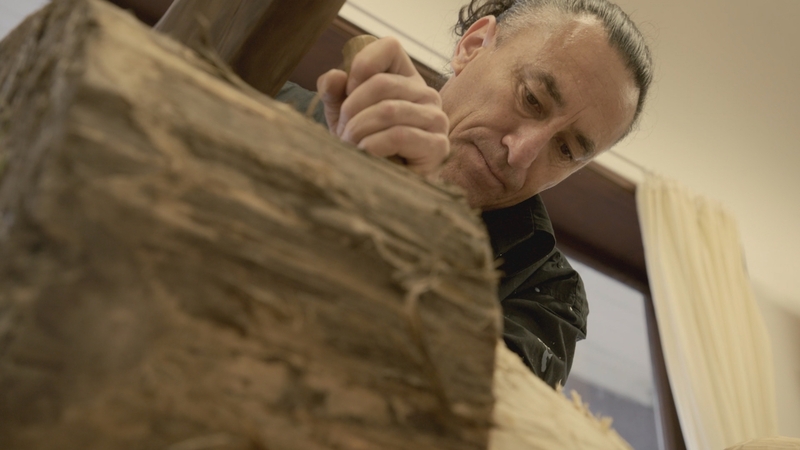 For Maori today, carving remains a key way of telling stories and honouring ancestors, and Logan – an internationally famous sculptor and carver – is proud to be keeping the tradition alive. 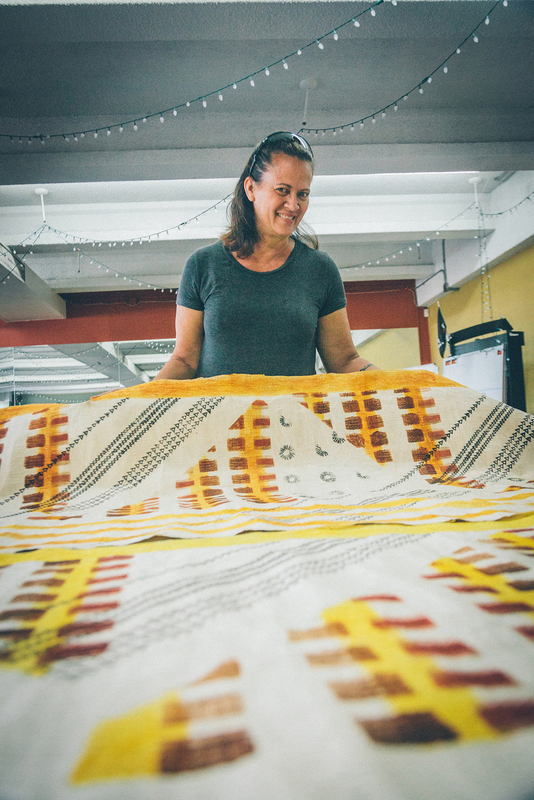 Indigenous Hawaiian artist Dalani Tanahy painstakingly beats tree bark into sheets of cloth-like fabric, known as ‘kapa’, a process that takes several weeks. This ancient Hawaiian bark cloth was once a staple material of the islands. But, Captain Cook arrived in Hawaii, he introduced far more easily-produced cotton and kapa-making completely disappeared. Today, Dalani is one of only a handful of dedicated practitioners bringing this traditional art form back. 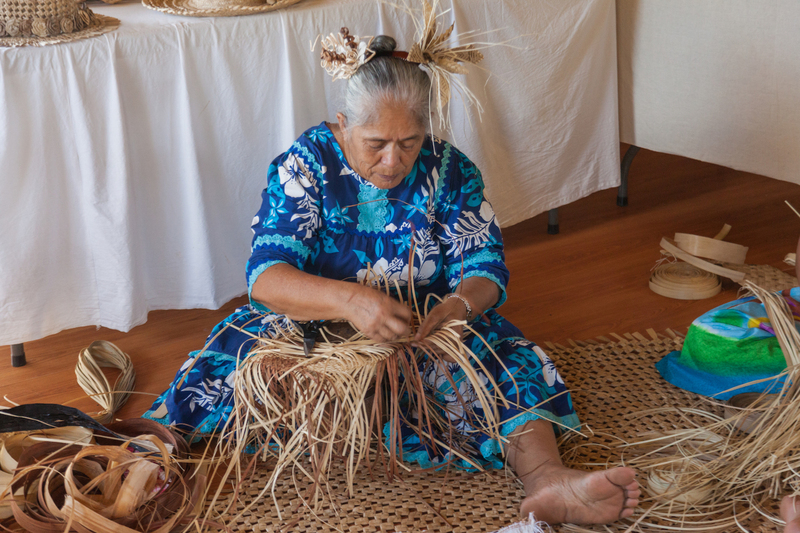 Kapa-making has become an integral part of nascent Hawaiian cultural nationalism that is taking hold in indigenous communities. Kapa making has become a powerful source of pride and identity. But making kapa is a lot of work. Dalani shows us the process from start to finish as trees are cut, stripped, and the bark beaten and fermented. Then sheets of bark are beaten together to make large single sheets. Natural dyes and paints are printed on. And only then, after weeks of work, is the kapa ready to be worn. In this film, Dalani finally delivers her kapa to a dancer, who plans to use it as a traditional ‘hula’ skirt. The film ends with an emotional performance at the Royal Palace in Honululu, Hawaii. A traditional ‘hula’ dance is performed, to honour Hawaii’s last monarch, Queen Lilo’uokalani, who was overthrown by the Americans. Like kapa itself, the Queen has become a symbol of reborn Hawaiian identity.